Mexican pharmaceutical Neolpharma Group, which began operating in Puerto Rico in 2013, will invest $35 million to expand its Caguas facility, creating 150 new jobs over a 24-month period, company and government officials said. Neolpharma Group is dedicated to the research, development, manufacturing, marketing and distribution of pharmaceutical drugs. The company’s investment is intended to expand manufacturing and packaging of its thyroid medication, LEVO-T, as well as the acquisition of laboratory equipment for research and development. 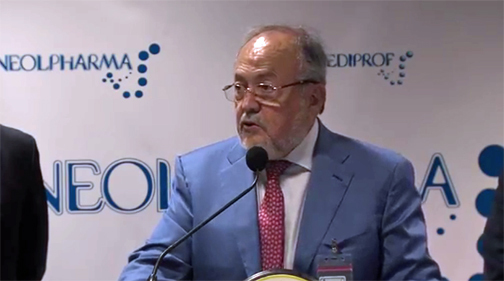 “Puerto Rico is the ideal destination to start operations in a U.S. territory, as it has the talent and necessary incentives to develop companies such as Neolpharma Group, which is doing research and development, manufacturing its products, fulfilling manufacturing contracts for third parties, and creating new jobs for Puerto Rico’s economic development,” said Neolpharma CEO Efrén Ocampo. Institutions of national and international recognition, such as the National Institute of Neurology and Neurosurgery, Institutions of the National Autonomous University of Mexico and the National Polytechnic Institute, the National Cancer Institute, the Mexico Children’s Hospital, and the National Institute of Rehabilitation, among others, back the company’s research efforts. Neolpharma has received incentives from the Puerto Rico Industrial Development Company (PRIDCO) for job creation and investment, and now it will receive tax credits for research and development. Since its beginnings in Puerto Rico, the Neolpharma Group has invested more than $75 million in equipment, facilities, acquisition and development of pharmaceutical products. “The Government of Puerto Rico and PRIDCO have fully complied with the granting of the benefits presented to Neolpharma to establish itself on the island,” said Marco Monrouzeau, general manager for the company in Puerto Rico. Hey Buddy!, I found this information for you: "Neolpharma Group to invest M in Caguas expansion". Here is the website link: https://newsismybusiness.com/neolpharma-caguas-expansion/. Thank you.